Creme Brûlée is probably one of my favorite desserts. And raspberries are one of my favorite fruits. So it probably isn't any surprise that these creme brûlée filled raspberries sound like the yummiest dessert ideas ever! Of course they also sound very dangerous. They are so little you would end up eating all of them. 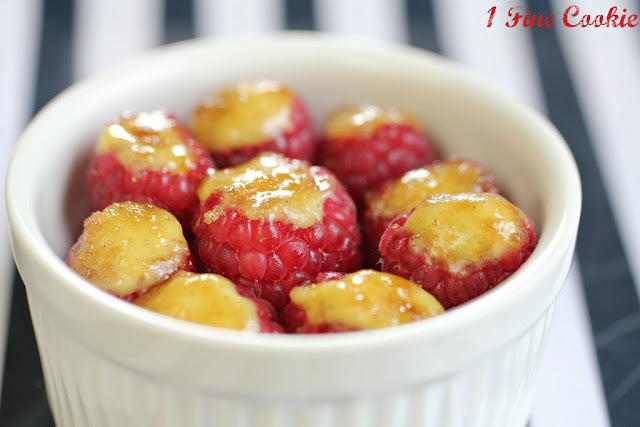 You can find out how to make creme brûlée filled raspberries over at 1 Fine Cookie. But if you end up eating an entire batch, don't say I didn't warn you.